Screenshot from the TV show. The Mentalist is an American police procedural television series that debuted on September 23, 2008, on CBS. The show was created by Bruno Heller, who is also its Executive Producer. The show follows former "psychic" Patrick Jane (Simon Baker), who is now a consultant to the fictional California Bureau of Investigation (CBI), using the highly developed observational skills he previously employed to "read" peoples' minds. On March 14, 2012, CBS announced that The Mentalist had been renewed for a fifth season. 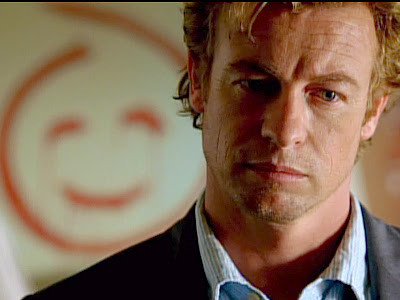 The popularity of the Mentalist largely derives from the excellent acting of Simon Baker who is a natural and highly convincing in his unusual role as Patrick Jane. But in addition to the stellar performance of the main actor the show's popularity may have something to do with the behaviour of the people so finely depicted in the show. He admits to faking the supernatural aspects of his skills, often asserting that "there's no such thing as psychics", yet he has finely honed skills in cold reading, hypnotism, and pickpocketing, as well as powerful observational skill and a deep insight into the human psyche and behavior. These skills come in handy in every episode, but his unorthodox and bizarre techniques to solve crimes sometimes offend the team of agents he works with. There is something quite catchy in the social situations in which the Mentalist is cast that probably appeals to most of us - he has an uncanny ability to see through the many masks and webs of lies so typical to us. Because Patrick is consulting a police force he has the liberty of actually saying what he thinks point blank - something most of us would love to do but usually choose not to. How exhilarating it would be to tell the boss, the minister, the merchant, your spouse or someone else "you are lying!" ... but this usually does not happen and is frowned at in civil society. Many different reactions of the victims of Patrick's truthful revelations are finely depicted in the TV show. The four Gospels draw together a multidimensional in-depth profile of Jesus of Nazareth and the people coming in contact with him. In my opinion, no other document from Antiquity comes even near to the psychological richness of the Gospels in their description of people in Roman period Palestine. Three of the Gospels provide fairly similar - but not at all identical - materials while the fourth one, Gospel of John, is very different and has been quite controversial among historians studying the New Testament. However, there is an underlying unity in many of the depictions and one remarkable characteristic of Jesus is his uncanny ability to see through the many masks and webs of lies so typical to us. There are several examples but I only take here two. 1. When a respected Jewish rabbi invited Jesus for a dinner something unusual happened - a woman of ill reputation entered the room and came near Jesus who was lying on his side near the table in Roman manner. She began to cry and her tears wetted Jesus feet which she then dried with her long hair and began to spread expensive ointment on them. The archaic expression in King James version "spoke within himself" is in modern language "he was thinking" but did not actually say anything. But Jesus was able to "read his thoughts" like a true psychic. 2. When Jesus was walking with his disciples from Jerusalem they stopped at noon time at the famous and still existing Jacob's well near the city of Samaria (Today Nablus, Arabic form of Neapolis). His followers went to town to buy bread but Jesus rested by the well. Oriental women usually came to the well as a group early in the morning. But this woman came to take water alone and in the noon time when there was nobody, she was probably shy of company. The woman said unto Him, “Sir, I perceive that thou art a prophet." 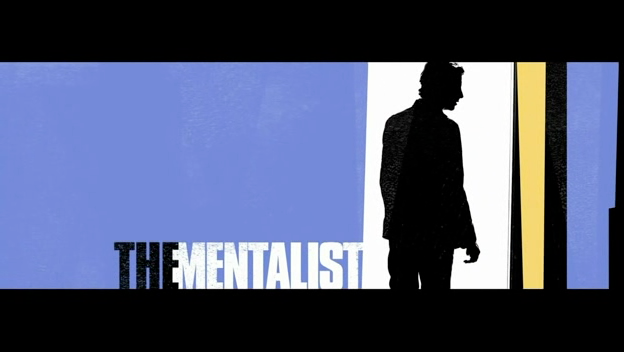 The fictional character Patrick Jane is created in surprisingly sharp and realistic manner by Bruno Heller. Patrick uses his gift of "reading minds" - whether it is a real gift of a psychic or just very accurate observation and understanding of people - in order to reveal the truth. The truth is the harsh reality that law enforcement officials are daily dealing with in the USA and elsewhere - people do murder other people. By exposing the lies Patrick helps the LAW to do its job, find and punish evildoers. The real character of Jesus of Nazareth that comes so vividly to our attention in the four Gospels uses his prophetic ability to see the truth about people for the purpose of GRACE. Honesty about the respected Pharisee Simon's thoughts about a woman bring a totally new reality to the world of religion where condemning others as sinners is such a favourite past time. The life of the woman at the well of Jacob was completely changed by the honesty and insight of Jesus and the shy loner actually ran back to the town and spoke publicly about the remarkable man she had met. Knowing the truth about people is so important in the service of Law and Order as it protects the innocent and brings the guilty to justice. Knowing the truth about people is so important in the service of Grace as it can lift up the fallen, fix the broken heart, bring forgiveness and love where once was only betrayal and hatred. Grace without truth is mishmash, truth without grace can be cruel. The Mentalist is also able to see through the government and whether their actions are true or false not only the citizens but the ones proclaiming to be the law themselves.